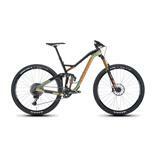 Whether you want to buy your first bike, or a bike for competitive racing. With over 20 years of experience in mountain, BMX, and road bike racing, Ray can help you find the right bike. Customer service is pretty good friendly staff and always willing to help out till you need help and not in hurry to get away and just sell bikes. This bike shop has lots of great bikes, parts, and accessories. I just recently bought a new frame from Ray, which I love! Ray is very knowledgeable, helpful, and always trying to do his customers right! He knows what he is talking about, and is also great with mechanical repairs. Stop by you won't regret it! Easy to find location close to freeway right off of Ventura. 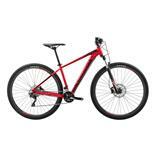 Plenty of beautiful high quality bikes to choose from along with accessories. Store owner is very knowledgabl, helpful and pleasant. Highly Recommended! Great Service. No matter how many amateur questions I've asked, the staff here has always gladly helped and answered all of my questions, as well as helped me understand my road bike better. Great selection Scott, Felt and other bikes. Very helpful with demos and riding any bike in local hills. Ray is amazing. He built my bike with extreme care and spent 2+ hours on fitting. Every part and detail was considered for weight, color and functionality. The finished product was beyond all expectations. Ray clearly loves his profession and is all about high quality service. He will not oversell and pricing is excellent. Ray is amazing. He built my bike with extreme care and spent 2+ hours on fitting. Every part and detail was considered for weight, color and functionality. The finished product was beyond all expectations. Ray clearly loves his profession and is all about high quality service. He will not oversell and pricing is great. Ray at Bike Warrior keeps it pretty simple. He's about great bikes (mostly Scott mountain bikes, and Scott and Felt road bikes), and great customer service. I must have been into the shop at least 20 times before I bought a bike, and Ray always had time to talk and offer advice. See above. The customer service is fantastic. Truthfully, a big part of my choice of Scott for my bike was because Ray sells and stands behind them. The shop is small and unassuming. The bikes are great, as is the owner. He has some good high end bikes but he is moody and it is not a nice atmosphere. I do not recomend this shop! He is grumpy and gets frusterated easily. I broght my new bike over to be built and he got frusterated over that the bike shop we bought the frame from gave us the wrong headset. Also he gets mad if you buy things from other bike shops or ebay. I was passing by when my seat became loose. The mechanic was friendly & quickly fixed it for me at no charge. It is small, but they're about quality not quantity. You don't need a lot of space when you only stock high quality bikes. Most other shops are bigger, but filled with crap. I was desperately looking for one of the few Scott Voltage FR's that were hopefully out there. I called the shop on a Saturday evening around 5:45 pm and spoke to the owner Ray. He was very nice, knowledgeable and knew precisely what I was looking for. He said they had two in stock, and invited me to stop by the next day to give them a ride. By the way they close at 5 pm on Saturday, and he still picked up and helped me out. I stopped in Sunday as soon as I could after opening. My wife and I were greeted by Ray and his wife as soon as we walked in, even though there was plenty of people they were taking care of at the time. We were very impressed by the quality of the equipment and bikes they had in stock. They took the bike down so I could take a closer look at it and said to let them know when I needed pedals installed so I could test ride it. When I told Ray I was going to buy the bike, he just didn't send me to the register so I can pay and leave. He politely asked to give him a moment to finish up with other customers. This was so he can give me his undivided attention during my transaction. Well stocked, and well run. 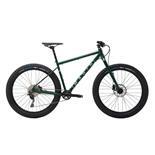 They carry Mid to High-end street and mountain bikes, and even beach cruisers and family bikes. FANTASTIC repair shop. Incredibly knowledgeable staff. The only shop I go to now, even if I have to bypass 10 other shops. I can't recommend this shop enough. Whether you need a tube, need repairs, or are going to buy a new bike, this is the place to go. I don't trust my bike with anybody other mechanic. This is the last and only shop you need to go to. 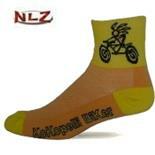 They will not be undersold, especially on Scott bikes. Great atmosphere, great prices, knowledgeable, honest, friendly, courteous, and fun. The owner even showed me some awesome local trails. I thought I knew every trail in the area. great place to network. Whether your a beginner or a racer, you will love this place, TRUST ME! I am not easily impressed by bike shops, but Bike warrior is the real deal. I was treated as if I was a shop team rider the first time I went in there. I hate to give away the secret, but I guess the cat is out of the bag already, with all the other reviews before mine. I can't think of anything bad to say, except that their hours are limited. Very personal and comfortable environment. You will be treated like you are Neil Armstrong. EXTREMELY KNOWLEDGEABLE staff. See if you can catch Ray. He's the best person to talk to if you are a seasoned rider. They will save you money by telling you exactly what you need, and nothing more. The first time I went in there, I needed a new rear wheel, I took the owner's word on what I should get, and it turned out to be exactly what I needed. He didn't try to sell me the most expensive wheel in the shop. He was honest and sold me the best product for the money. He even split up a pair of wheels to save me money. The service here is unmatched by any other shop in the valley. The only shop that even comes remotely close is 40miles away. So if you want to feel like you are a pro rider and get treated the same, this is the place.